I created patterns for days, with watered down Fluid Acrylic Paints and illustration. 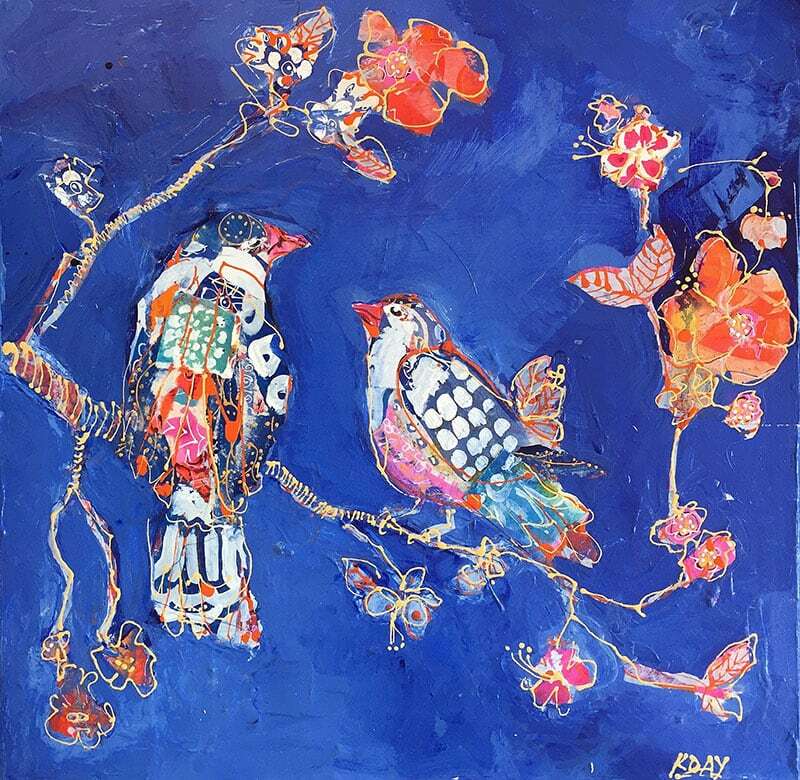 Then I made this painting by wildly collaging these patterns in rough bird formations, and slowly worked the indigo paint into the background. The final touch was doodling all over with Fluid Iridescent Gold paint!